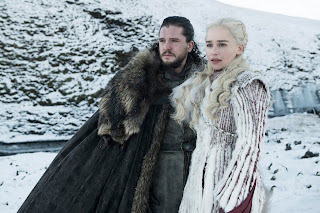 After a nearly interminable wait between seven and eight, a mammoth re-watch of the preceding seasons, and far too many theories to count - season eight finally aired its premier episode last night and hit all of the right notes. Moving multiple people around on the ever moving chessboard as we set up for the big battle to come, this was a relatively understated affair that still packed a hell of a punch as we're thrust back into the world of Thrones. Given that most people in the UK will have been sensible and not gotten up to watch the premier at 2am, my thoughts on the episode are below the cut. First up, that title sequence. I can't wait to see how this evolves as the army of the dead progress south and ice covers more of the map, and whether we'll see interiors of any of the other places we've become used to seeing from a distance. The title sequence has always been beautiful, but this was on a whole other level. It shakes you up and puts the complacent watcher on an uneven footing, and adds a new layer to the already gorgeous titles. I loved all of the call-backs to the very first episode - it's really wonderful to watch so many things come full circle, and history repeating itself in so many ways. 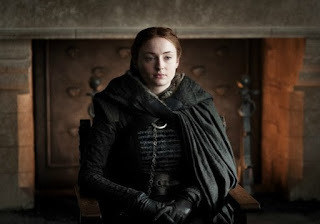 This is the arrival of a monarch at Winterfell with the full budget of the show backing it, and it's great to see the scope of the army and the North out to witness this foreign Queen arriving. It's also a chance for a) a sweet call back to a small child trying to see the arrival akin to Arya witnessing the arrival in the first episode, and b) Arya quietly watching all these people arrive. She's just a face in the crowd and no-one notices her as they ride past, but she's taking everything in, and watching her reactions is really wonderful. It's an episode filled with reunions and pushing new characters together, which is always something exciting to behold. The episodes that bring together swathes of characters that we've come to know and love, and seeing how the dynamics shift and change are always glorious to watch. 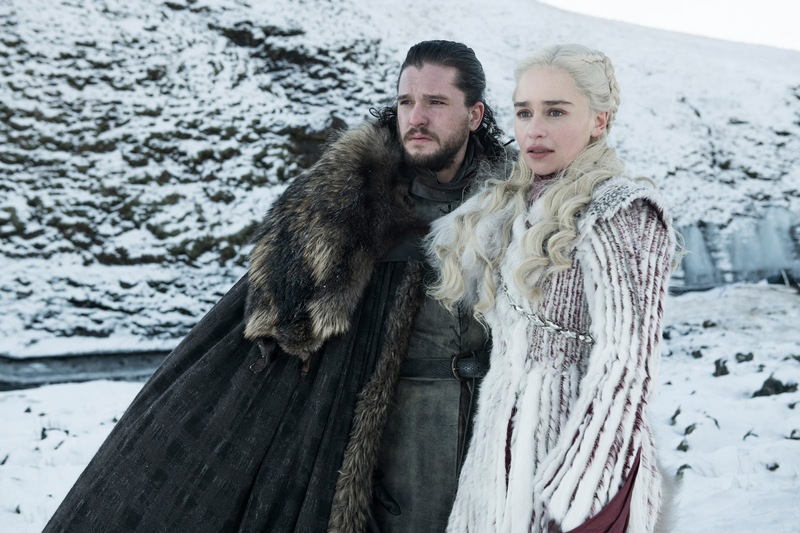 "Winter is Coming", "The Lion and the Rose", and "The Dragon and the Wolf" are particular stand out episodes that showcase smushing characters together and seeing what happens, and I loved the melting pot of tensions and groupings that we've been offered in this episode. The other reunion I was super stoked for? Sansa and Tyrion, because we have come a loooong way from Joffrey's wedding. Sansa is now an absolute powerhouse, and I love how Arya will straight up admit she's the smartest person she knows instead of casually chatting about peeling her face off. Sansa is one of the few people actively playing the long game and trying to look at what comes *after* the battle against the dead. Because sure, everyone may die, but what if they don't? How are we going to feed them all? She has been put through the wringer over the last seven seasons, and she has soaked up all those lessons like a sponge. She's been around the biggest and cleverest players, and she has outlived almost all of them. It's a huge fist pump moment to watch her use all that she's had done to her, all that she's seen happen around her, and to come out stronger for it. It was also nice to have her see right through Cersei's ridiculous ploy and to call out Tyrion for falling for it. Tyrion has suffered rather over the last couple of seasons because most of his scheming has failed. It's had to to further the plot, but it's been a shame to watch him go from one of the cleverest players to someone so easily duped. 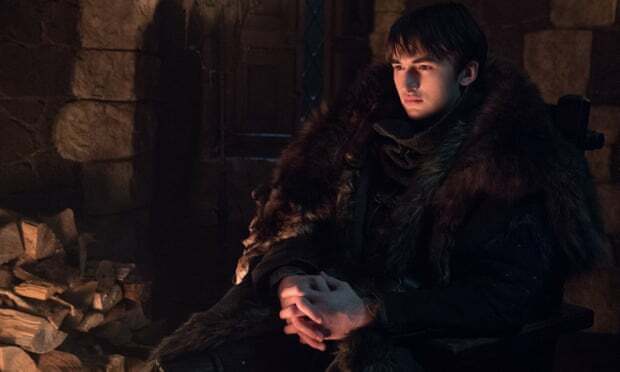 I really hope Sansa calling him out on it marks a distinct shift for him. Speaking of distinct shifts, this is easily one of the funnier episodes of Thrones, which I really wasn't expecting. It feels almost light hearted in a few moments, most noticeably the prolonged dragon flying sequence. Yes we need to see Jon flying a dragon to prep for when he inevitably flies into battle on one, yes it helps to cement his heritage, and yes it's great to see the banter between him and Dany prior to him mounting up, and him struggle to hold on whilst Rhaegal actively tests him with some excellent tricks, but it also is one of the longer sequences in a season where every moment counts. 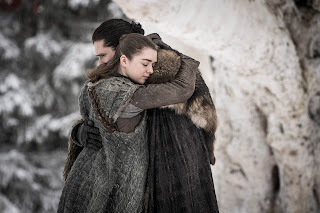 It's a curious choice that breaks the relentless doom, and allows for a bittersweet moment when Dany suggests they could just hide here forever - oh Ygritte I miss you still. But I did find myself waiting for the other shoe to drop and for something terrible to happen in that sequence - it's rare to get lighter moments now. I'm also thrilled to see Yara again - I have everything crossed for her delivering an epic smack-down for Euron this season, and I'm sure we're going to see more of her and the potential last stronghold for the living in a couple of episodes time. 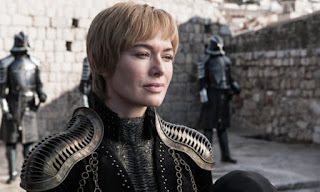 We spend very little time away from Winterfell, aside from a few key moments for Theon and Yara, and to show Cersei has gone full on murderous by sending Bronn off to murder Jamie and Tyrion, whilst being decidedly disappointed at the lack of elephants. Same, Cersei. Her response to hearing the wall has fallen and the dead are moving south captures everything perfectly - "good." 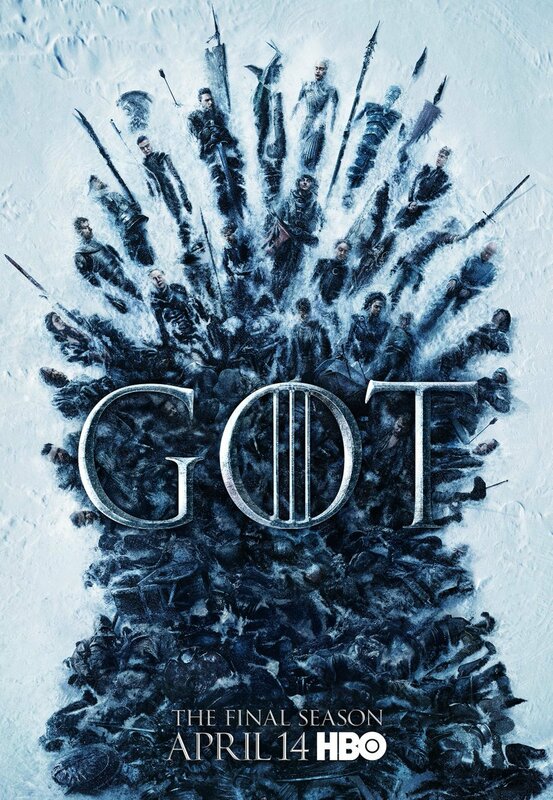 This is not an hour of epic battles and insane moments, this (like many of the first season episodes) is a quieter affair that tightens up the dynamics and moves players and pieces into place for the battle to come. It doubles down on character development and motivation, which is something I found slightly lacking in season 7, and quite a relief to go back to again. 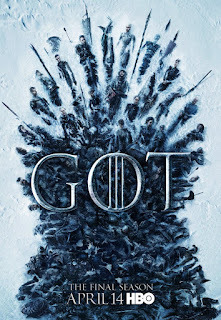 "Beyond the Wall" S07E06 made me feel more than a little concerned about how the final season might play out (I'll argue it's one of the weakest episodes of Thrones) so it was reassuring to go back in and get to the heart of a lot of the characters that suddenly find themselves in close quarters, unable to quite set aside their differences. It's just a crucible waiting to explode, and it's simply a matter of which happens first - the army of the dead arriving, or the in-fighting reaching breaking point. This is particularly obvious with both the interactions with Dany, and when other character's are talking about her. I really love the path we're being shown with Dany. She's always been someone to root for, and I still do. But we're also really having the problems highlighted. Yes she wants to free the oppressed, she wants to break the wheel, leave the world better than she found it, etc. But in these later seasons, she is also becoming harder, set in her ways, more fixated on others recognising her authority and lashing out at those who don't. It's referenced a lot - that she has this temper and these impulses and those around her are meant to curb them, but that's often hard. Tyrion has his work cut out for him most of the time, and it does send worrying signals that Dany, whilst initially the person who had the strongest claim to the Throne and seemed like the benevolent ruler who would do the realm the most good, is at times a little bit scary. After this latest episode I'm not so sure she's going to come out of this on top. And to have that really rammed home with what should have been a lovely scene - Sam and Dany coming face to face to really give him the thank you he deserved for saving Jorah. We as viewers like all of the people on screen, yet it suddenly becomes awkward and horrible when faced with what Dany did to Sam's father and brother last season. Sure Randall at least was very Not Nice and Sam Did Not Like Him (all totally justified) but equally, this woman who is meant to come and make things better, is admitting (without a shred of remorse, because she's a Queen and can't really admit wrong doing) that she burned Sam's family to a crisp. That's horrific to watch, and suddenly this good person who you've justified all her actions is a bit harder to like and justify. That's all compounded when Sam points out to Jon a few minutes later that Jon gave up his crown for his people, but Dany wouldn't do the same. It reminded me strongly of Robb beheading his bannerman in season 3 for butchering the Lannister boys. That was the beginning of the end for him, and I'm curious if we'll get any further echoes of that in Dany over the next couple of episodes. Power so often corrupts, and it's a really fascinating study in how these characters deal with power. Jon doesn't want it, he gives it up willingly if it helps his people. Yet the longer Dany goes with power, the harder she becomes, and the harder to reason with. She's always been headstrong, always defied what is expected of her, and often what she's been counselled to do. It's part of what makes her so extraordinary. But now she's so close to the throne and everything she wants, the blinkers are starting to close in and she's less tolerant of weakness perceived around her. I'm reminded of Tywin - "anyone who has to say I am the King is no King". We'll see where this goes, but I am fully on board for this journey, right to the end. It's a really solid start to the final season, and definitely left me excited for what's to come. Bring it Thrones, the next five Monday's are going to be exhausting but totally worth it! 5 Stars - This was perfection. All time favourite. 4 Stars - Loved it. A couple of things that stopped it being a five star rating, but one I enjoyed immensely and would recommend. 3 Stars - A mixed bag. One I enjoyed but there were enough problems that it wasn't a favourite. 2 Stars - Not great. Possibly one or two redeeming factors. A thirty-something bookaholic with an obsessive personality when it comes to books, TV shows and baking. Can also be found ranting about books on the Bookish Brits youtube channel! The Review Diaries and all content copyright to RMercer 2010-2019. Watermark theme. Powered by Blogger.